Alias; Acorn Squash. This little beauty was one of many growing in my garden this year. I liked the splash of orange-yellow on the side. 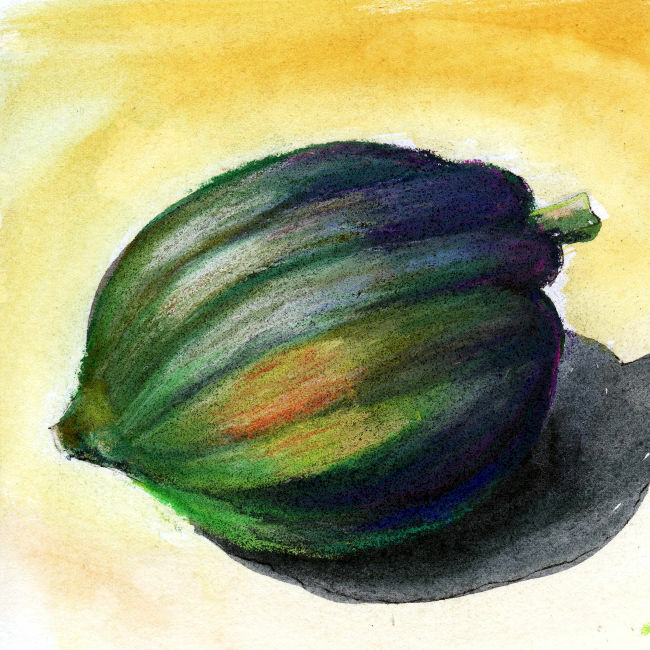 This painting was done by using ink first, then watercolor, then pastels. Trifecta in mediums - and I don't mean the spooky kind. Boo!